(MENAFN - ForPressRelease) AKRON, Ohio (forpressrelease) April 10, 2019 - Harbor Light Hospice, an Akron hospice , released a blog describing the importance of hospice family care for people whose loved ones are patients. Families need care during this difficult time as much as their loved ones do, and many hospice care providers take this into consideration when developing treatment and care plans for their patients. Contact Harbor Light hospice for more information about the resources available to family members with a loved one who is receiving hospice care. Harbor Light provides comprehensive care for both patients and their families and offers a wide range of therapies and treatment options. Its team of medical professionals includes certified nursing assistants, dieticians, licensed practical nurses, registered nurses, therapists, and social workers, in addition to chaplains and volunteers. The Akron hospice is headquartered at 207 Portage Trail, Ext. West, Cuyahoga Falls, Ohio 44223. 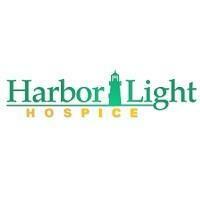 Harbor Light Hospice can be contacted by phone at 330-686-4983 or online at https://www.harborlighthospice.com/locations/ohio/akron/ .